Asha Bhosle turns 85 on September 8. 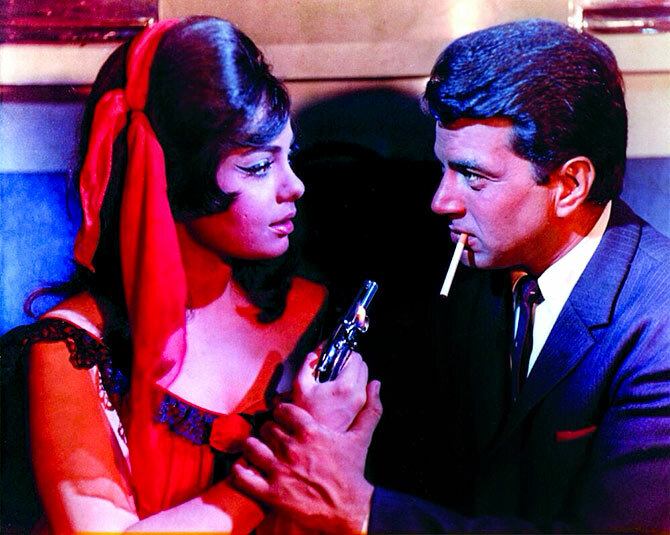 Dinesh Raheja salutes the legend's versatility in her heyday. Asha Bhosle's tempest-tossed personal life notwithstanding, her indomitable spirit remains proudly intact. Finding it expedient to seek work at the age of 10 after her father's death, Asha has literally inched her way up. After singing songs for children, supporting actresses and B-movie leads, she turned the tide in her favour by the mid-1950s. What followed was an incredible playback career straddling seven decades, each studded with glitteringly vocalised gems. Asha is now a hall of famer who deserves an entire room to herself! We present 30 classics from the 15 peak years of this cinematic colossus. 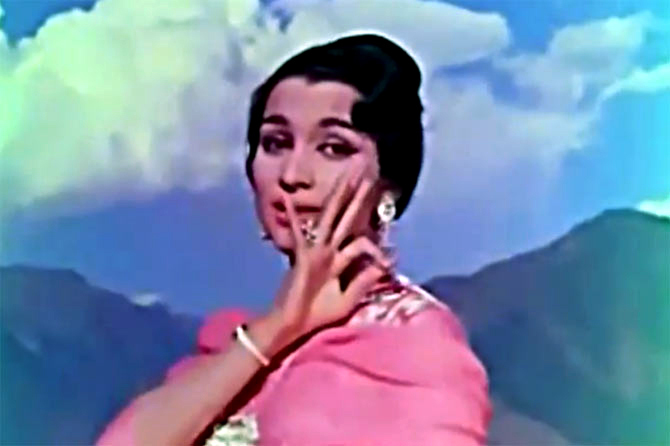 This is the blockbuster dance number that made Asha Bhosle Hindi cinema's definitive singing seductress. 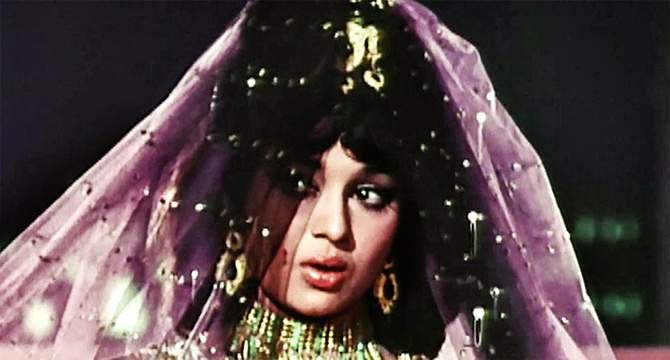 Asha navigates the high notes with consummate ease while onscreen the glorious Nadira (in a dress 'cinched so tight that I could barely breathe') articulates this siren call, egging on Raj Kapoor to strike a Faustian bargain for his soul. O P Nayyar introduced audiences to his archetypal ghoda-gaadi (horse cart) rhythm with this wonderfully whacky duet. When Asha's spirited vocals harmonise with Kishore Kumar's yodeling, it's clear that they are perfectly matched partners in rhyme. The two divas, Lata and Asha, team up winningly in this duet from Basant Bahar, a veritable cornucopia of classical music. 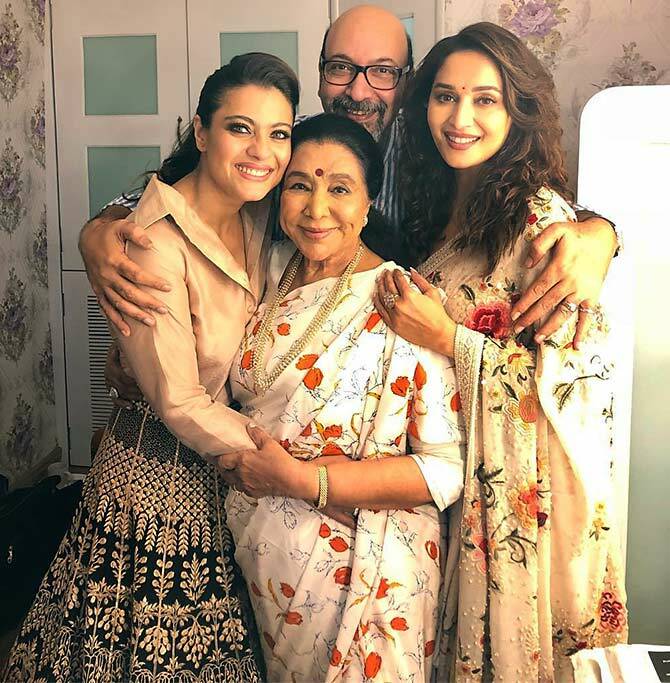 The sisters had two other memorable double acts this year in Aji Chale Aao (Halaaku) and Manbhavan Ke Ghar Jaaye Gori (Chori Chori). Cast in one of my favourite ragas, Desh, this lament of a neglected wife captures Asha's gift for emotional expression. Her voice beautifully merges pathos with a hint of sensuality while intoning Shailendra's metaphorically phrased Piya Aaj Baati Jali Mat Chhodo. This annus mirabilis established Asha as a superstar singer. She triumphed with a fusillade of hit scores -- O P Nayyar's Naya Daur and Tumsa Nahin Dekha; S D Burman's Paying Guest and Nau Do Gyarah and C Ramchandra's Asha, Sharada and Baarish. In the robust Ude Jab Jab Zulfein Teri, Asha seized her A-list chance and matched Nayyar's feisty Punjabi dholak beats with verve. Asha and Geeta Dutt are in tantalising tandem in this wonderfully up-tempo duet which has Geeta singing for Shashikala onscreen while Asha croons for Helen. Asha channels Madhubala's free-spirited lightheartedness in this dotty ditty, which topped the Binaca Geetmala (a legendary weekly radio countdown in India for years) countdown for the year. 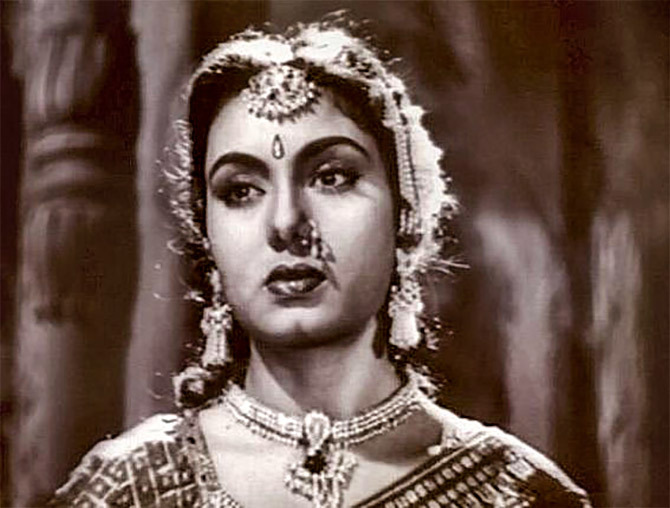 The urban legend that Asha has largely sung cabaret numbers can be summarily dismissed -- in 1958 she sang for legendary leading ladies: Nargis (Gaa Mere Man), Vyjayanthimala (Dekh Hamein Awaaz), Nutan (Yeh Raatein Yeh Mausam) and Madhubala (Chalti Ka Naam Gaadi, Kaala Paani, Phagun and Howrah Bridge). 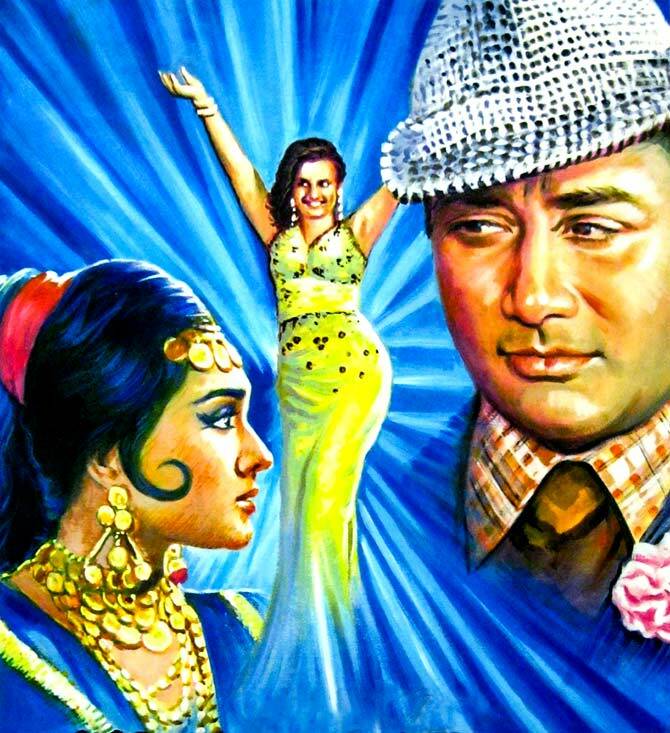 From this embarrassment of riches, I choose the torch song Aaiye Meherbaan for its ageless appeal. 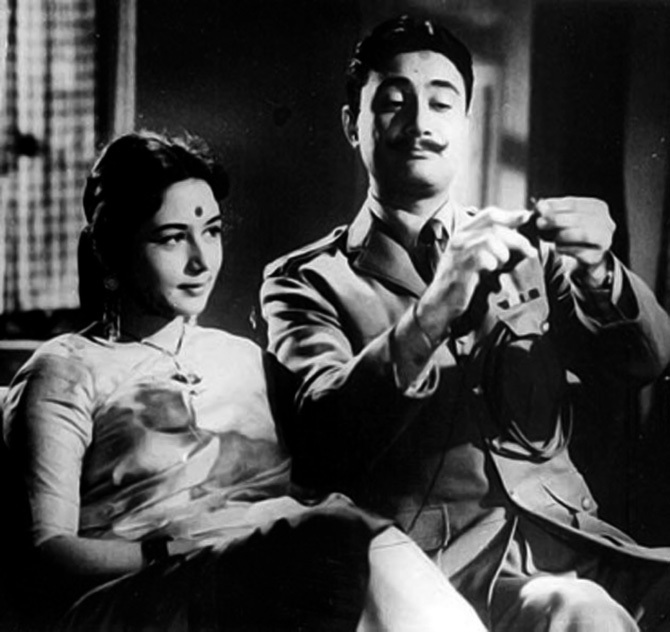 The song captures the blossoming of romance in the subdued Sujata's diffident existence. Notice the way Asha repetitively teases the phrase Kya jaaye, breathing into it a thousand shades of longing. Asha's playback career got a tremendous fillip when S D Burman and C Ramchandra temporarily stopped recording with Lata in the late 1950s. 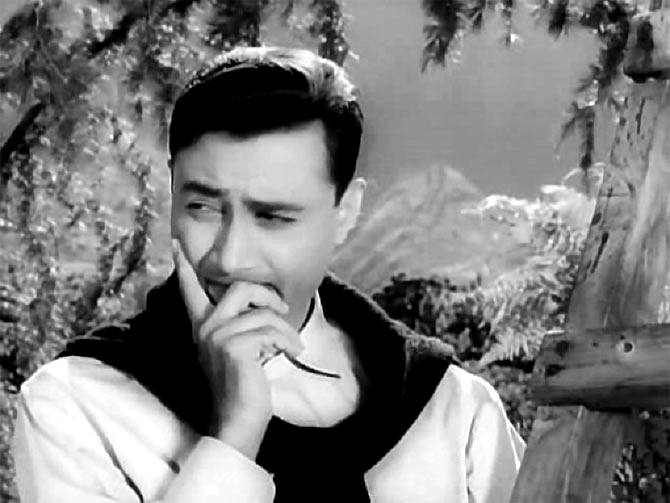 As was his wont, Ramchandra highlighted the caramel sweetness in Asha's voice in Aadha Hai Chandrama. With her irresistible opening alaap (the gradual exposition of a raga in a slow tempo) followed by a catchily tuned sargam (notes), Asha makes classical music sound accessible to all. 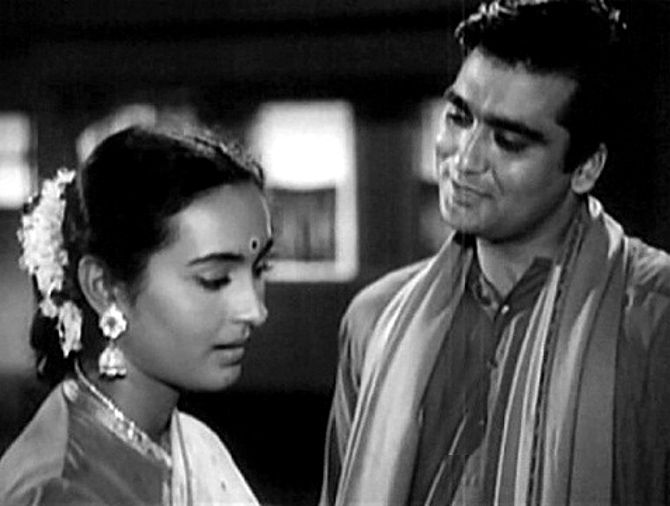 The meend (gliding from one note to the next) Asha employs is particularly attractive in Ek Naya Afsana Aaaa, with its echo ringing through the hills that Suchitra Sen is traipsing through onscreen. Two decades before Umrao Jaan, Asha made an indelible mark on ghazal singing with this mellifluous Nayyar composition in Desh Raga. Asha's elegiac rendition is a stellar example of her signature versatility. 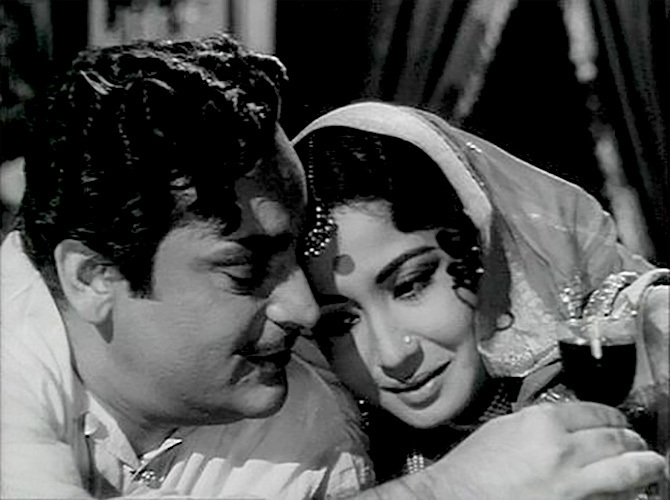 The romantic wrangling between Asha and Mohammed Rafi in this eternally appealing duet makes one nostalgic for a more innocent time -- Rafi's wooing, however ardent, is never aggressive and the sting of the rebuff is honeyed by Asha's delicate infusions of l'amour in her Nahee Nahee Nahee Nahee. Asha's repertoire with underrated composers like Babul can be mined for many a nugget. She embellishes this intricate composition with many a marvelous murki (cluster of notes). Asha's impish interpretation is an enduring testament to her gift for communicating joy through song. The audience was galvanised by the notes of the sitar in the musical interludes of Aap Yunhi, but Asha's silken voice is truly noteworthy. Asha alternates between heavenly humming and alluring alaaps before she launches into the song... the end result is an arrestingly wistful mood melody. My music teacher marvels at the fact that Asha makes singing to the Deepchandi taal (a rhythmic cycle of 14 beats) seem like a cakewalk. I relate to the song simply because it leaves me spellbound in its poignant evocation of caged dreams. Lata Mangeshkar may have been dubbed the nightingale, but Asha sounds as mellifluous as the panchhi or bird (a symbol of freedom) she is addressing here. Mera Naam Hai Shabnam, Sapna Mera Toot Gaya and the unusually structured Dilruba all bear witness to Asha's proficiency at intertwining dialogue into songs. Dilruba has thunderous drum beats alternated with Asha and Rafi breaking into impassioned recitation of verse. Each line is like a heartbeat; it can't be missed. This song could well contain the message the songstress was delivering to all the composers of the time. Asha's murki-filled alaap after the second antara of Jaiye Aap is a tour de force. Asha's soulful rendition of this profoundly penned (by Sahir Ludhianvi) bhajan is so insightful, Director Ram Maheshwari employs it to mark the beginning and the end of his film. 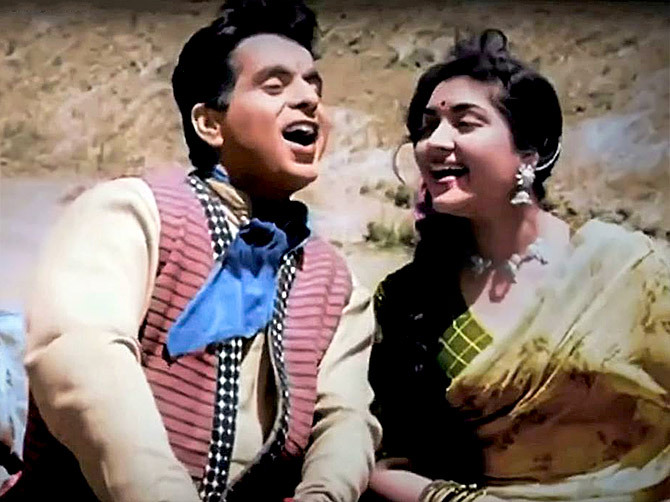 The first successful combination between RD and Asha is studded with superhits such as O Haseena Zulfowali and O Mere Sona Re. 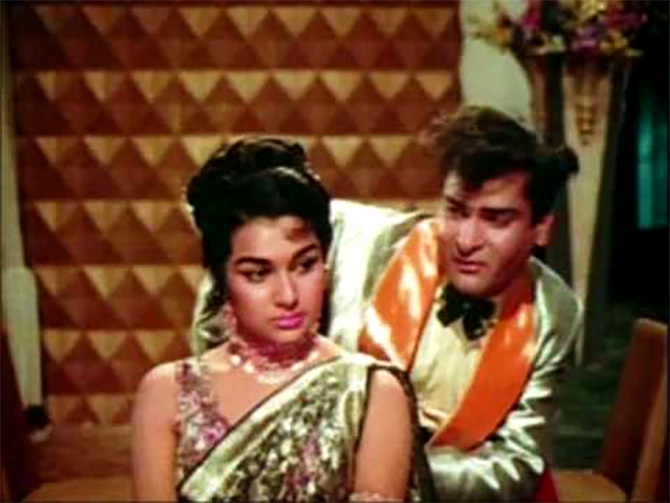 But Aaja Aaja with its kick-up-your-heels abandon and frenziedly cataclysmic climax is a cultural landmark that captured the zeitgeist of the swinging 1960s. A Lata aficionado, Madan Mohan always challenged Asha with the songs he selected for her. 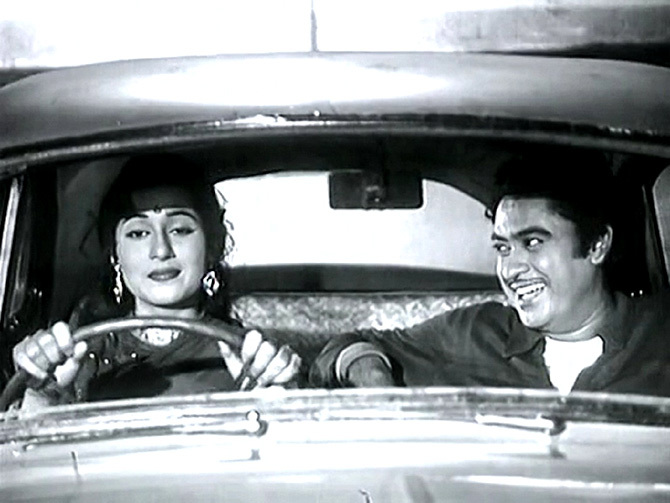 In Lata-dominated scores such as Woh Kaun Thi and Mera Saaya, the composer gave Asha boisterous solos (Shok Nazar Ki Bijliyan and Jhumka Gira Re) that were standouts. 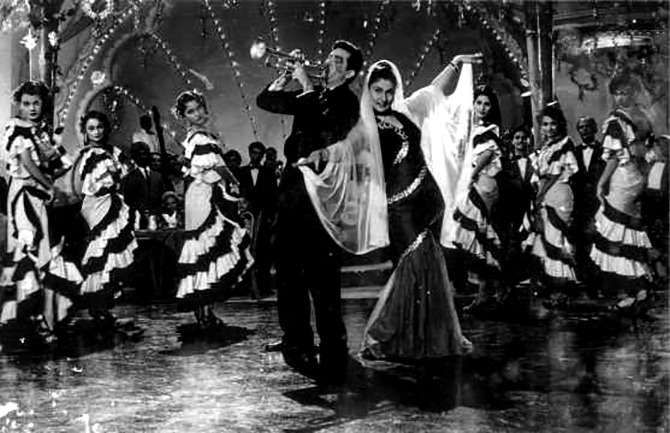 The terraced dynamics(Asha builds up from a whisper to a falsetto crescendo) in this breathy beauty and tempestuous Tanuja's hip-swiveling moves make for a heady cocktail that leaves Dev Anand cocking his head in amazement. 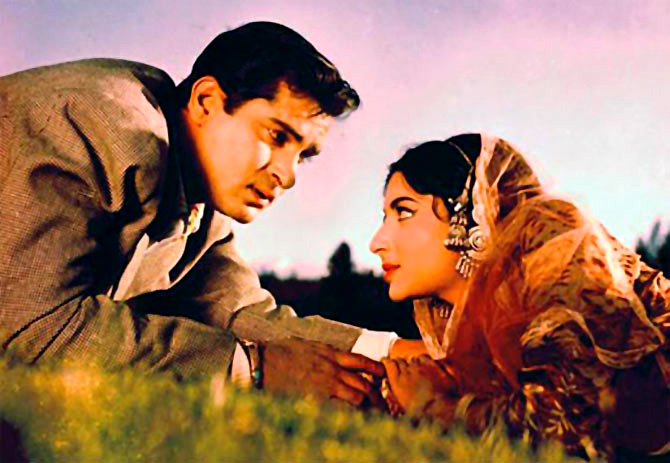 The tempo of this dreamy duet is predominantly slow, the singing easy and heady-with-romance, allowing all the time in the world for Paris to envelope Shammi Kapoor, Sharmila Tagore (looking like a million bucks) and you in the beauty of its softly lit streets. This crowd-pleaser won Asha her first Filmfare award. It begins with an Arabic tune and settles down to something more homegrown, but Asha glides through it all, singing up a storm time each times she intones Meri Tauba while her namesake (Asha Parekh) gyrates in harem pants. Asha's flair for murkis and her command over the slurring-style of singing is on grand display in this number, which has an intoxicated Babita trying hard onscreen to match Asha's fireworks. 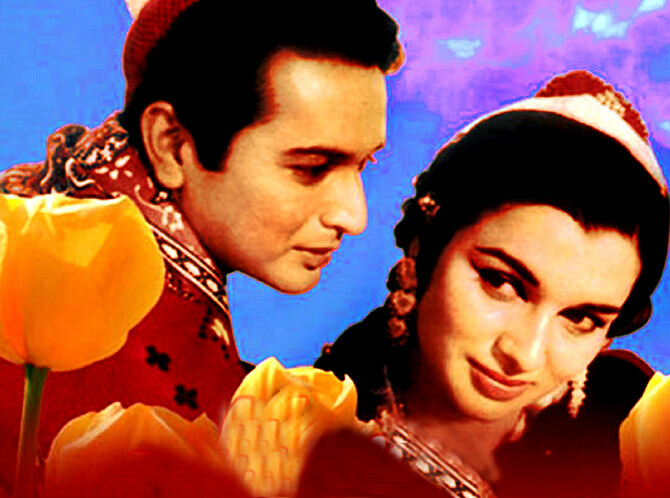 Asha's voice is in full cry in this life-affirming dance number and when paired with Mumtaz's zestful moves they made this song a superhit. No ittefaq (coincidence) this. A kittenish Helen in outsized red boa feathers and a coquettish Asha team up memorably for this captivating cabaret. By now, Asha and Helen had become the country's resident agents provocateurs. *This feature was first published in 2013.